When Fortnite developers released the game’s notorious rocket launcher, surely they knew they had designed a fatal long-range weapon. Always crafty, Fortnite players quickly discovered something else about these rockets: They’re nifty ways to get around the map. 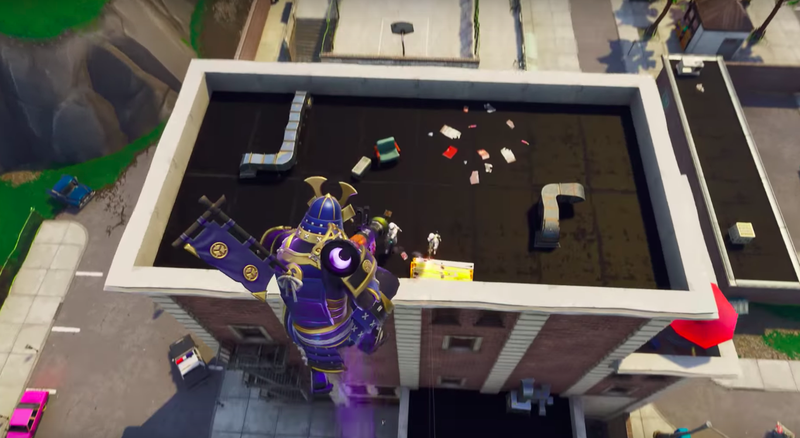 As it turns out, they’d stumbled upon something Fortnite’s developers hadn’t planned for. Today, Apple published an interview in which they asked Epic Games’ creative director, Donald Mustard, whether there’s anything players have done in Fortnite that its creators didn’t know was possible. “So many,” Mustard told Apple, citing the rocket launcher. “We had the rocket launcher, and players figured out they could jump on top and ride rockets across the map.” In a meeting, Fortnite’s handlers puzzled over what to do to “fix the bug,” Mustard said. After some discussion, it became clear that “It’s not a bug. It’s now a feature,” said Mustard. This surprisingly unforseen “bug” has now become a mainstay of Fortnite. Players have been pulling off impressive mid-air rocket stunts for nearly a year. Last November, just a few weeks after Fortnite’s launch, a Fortnite player sniped an opponent from atop a flying pumpkin rocket. These days, rocket-riding is an established way for streamers to flex in Fortnite. You can read the whole Apple interview here (on iPhone and iPad).